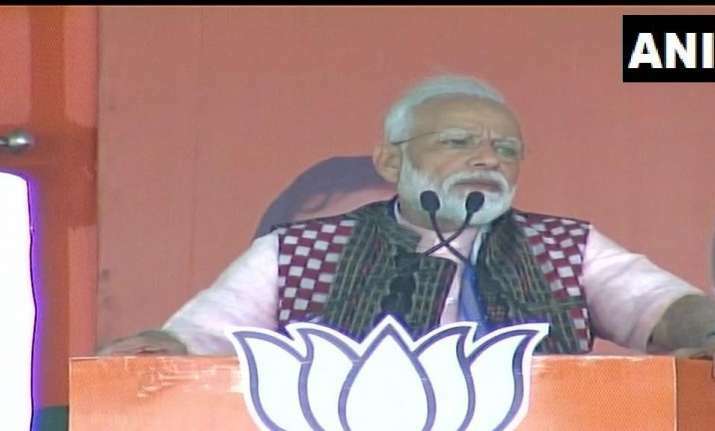 Prime Minister Narendra Modi on Tuesday accused the Naveen Patnaik government of pocketing the money the Centre had sent for the development of the state. Modi also accused the Odisha government of creating obstacles in providing benefits to the farmers in the state. “You have trusted them (the BJD) blindly for 20 years. Now the land of Odisha has made up its mind for a change,” he said. “Now the Modi government has created a system in which if the government is sending 100 paise, then that entire amount should be spent on poor people of the country,” he added. Stepping up attack against Odisha government, the prime minister said it is the result of the earlier corrupt and weak governments that the poor people of Odisha remained poor after so many years of independence. “Discrimination on the basis of region and caste, this is the achievement of Congress and BJD,” he added. “The central government procure rice at Rs 19-30/kg and send it to Odisha. Odisha government adds only Rs 2/kg to it. However, they claim that they provide rice at subsidised rate to the people of Odisha. It is an utter lie,” the prime minister said. He said that the BJP government at the Centre had amended decade-old mining law and ensured that a part of the fund from the resources extracted is utilized for the development of local infrastructure.